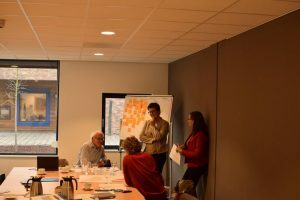 The engagement of stakeholders in the project conducted in the Netherlands in the Kromme Rijn area was implemented through the organization of a workshop. 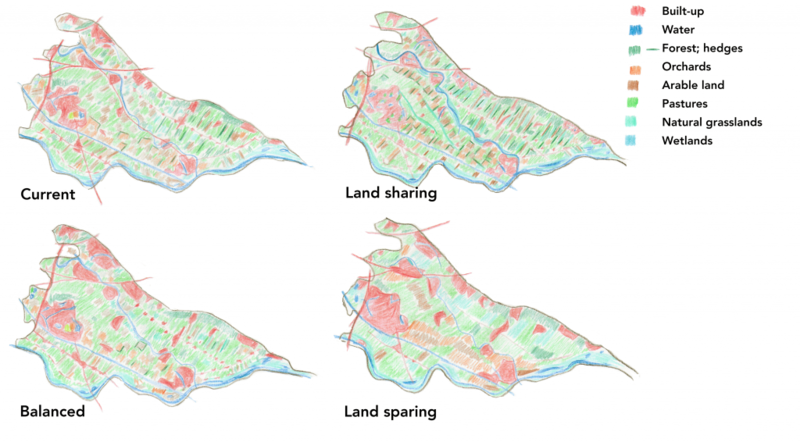 The workshop took place the 14-12-2016 in Bunnik (NL) and gathered the stakeholders for thinking about alternative land management scenarios. Land sparing and land sharing were the two alternatives discussed. The workshop allowed for collecting stakeholders desires in term of information, to take informed decisions. In the Kromme Rijn area, stakeholders mentioned the need to for economic assessement of all governance tools proposed (e.g. cost-benefit analysis). However, not only pure economic assessments is needed, but also the societal, economic and ecological assessment of each tools effectiveness in terms of meeting the future demand for/supply of Public Goods. Thus, information on future trends on Public Goods are of high importance, as well as information on the future demand for Public Goods. Also farmers, would like to have the exact information on local governments future plans/ visions and their decision making process, in order to allow for their contribution. Finally, stakeholders of the Kromme Rijn area recognized the need for networking in order to take action, and agreed to use an online platform to facilitate communication. As a follow-up, maps of the scenarios were elaborated and used as input for assessing ecosystem services and biodiversity in WP2.